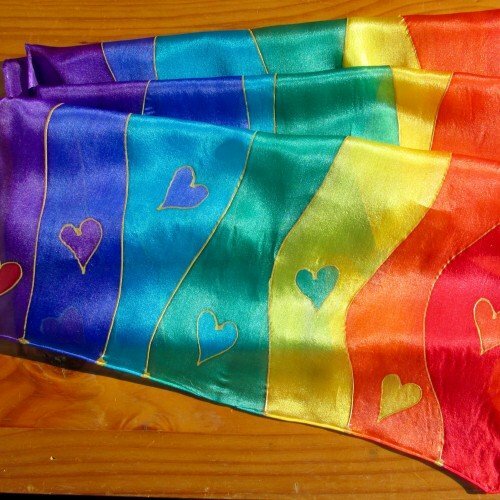 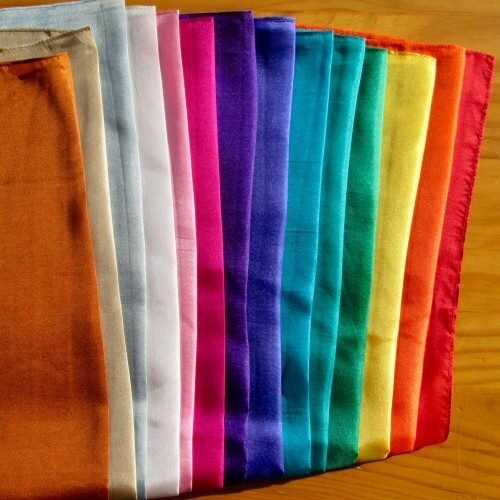 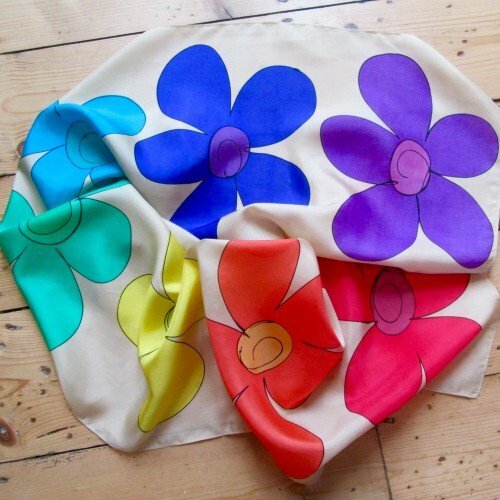 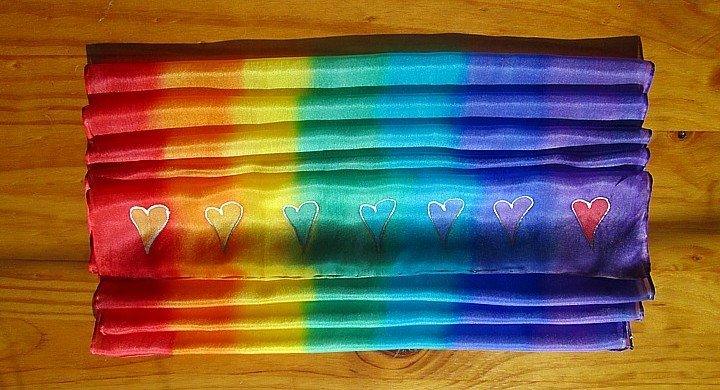 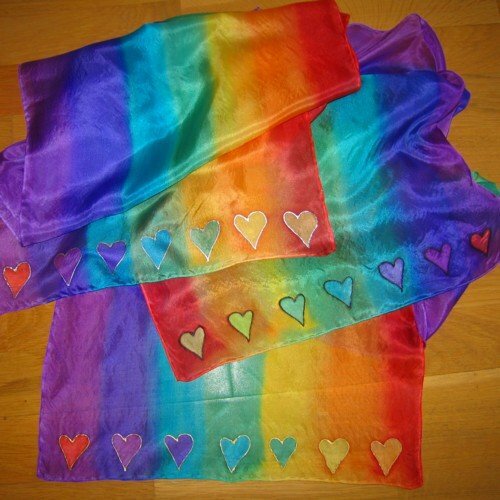 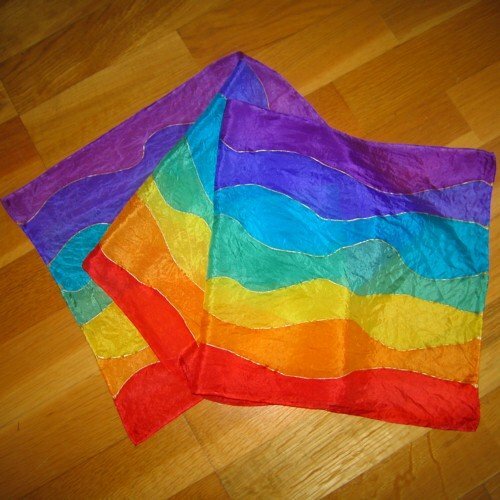 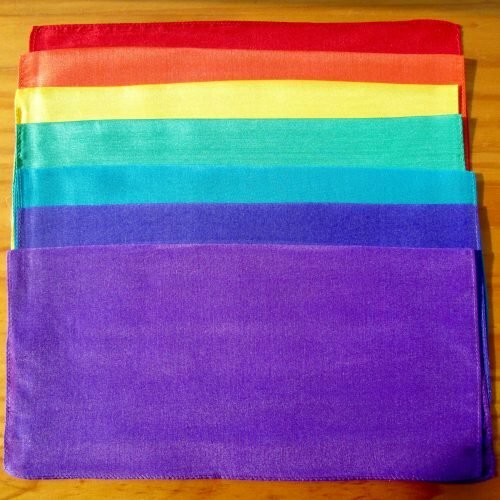 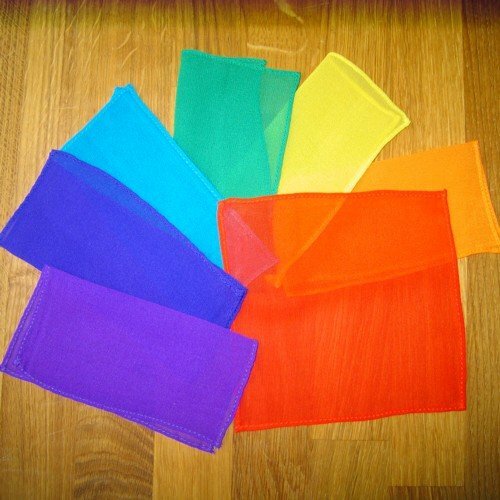 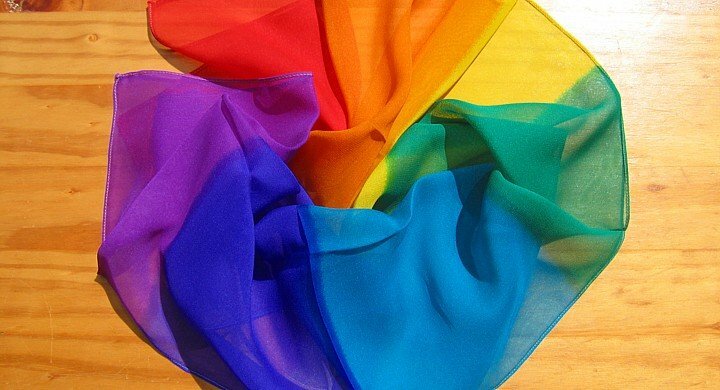 Chakra jewellery and silk scarves, colour therapy squares and chakra healing sets for using in holistic treatments. 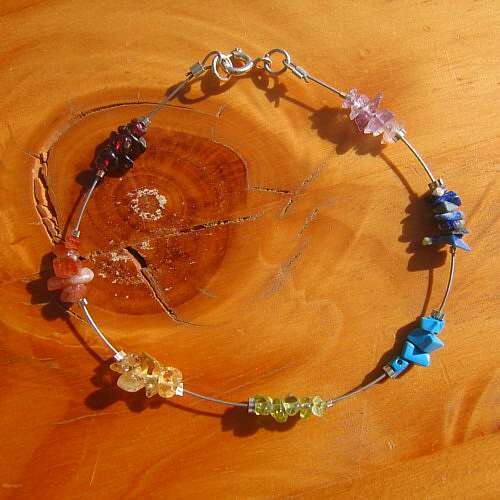 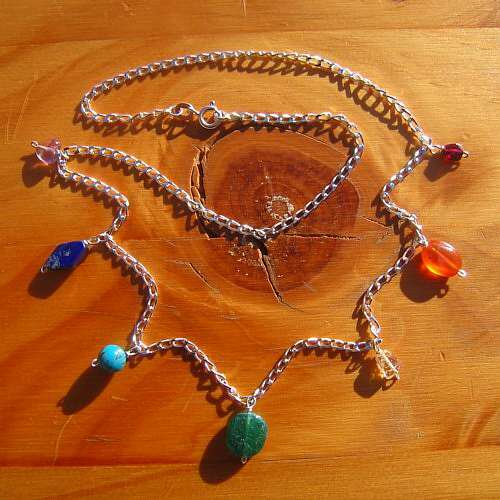 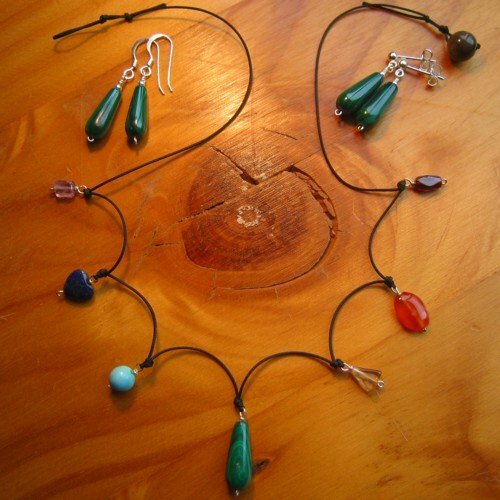 Chakra jewellery: necklaces, bracelets, ankle chains, earrings. 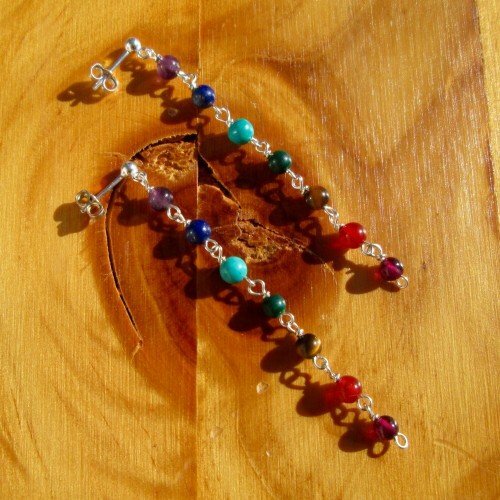 Chakra information chart, Your Handy Guide to Chakras. 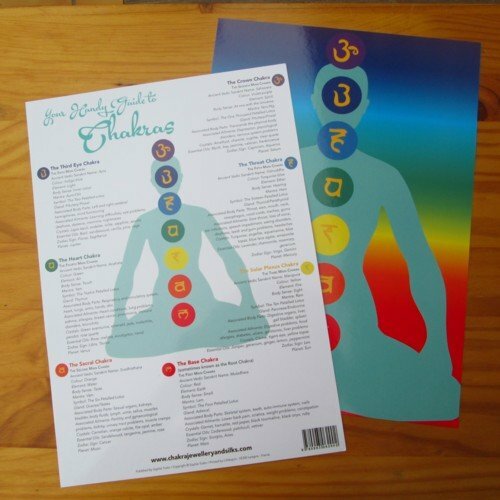 Simply Chakras, chakra information booklet. 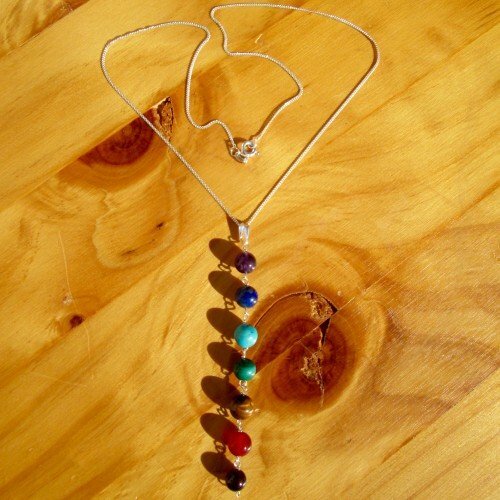 Chakra dowsing pendulums. 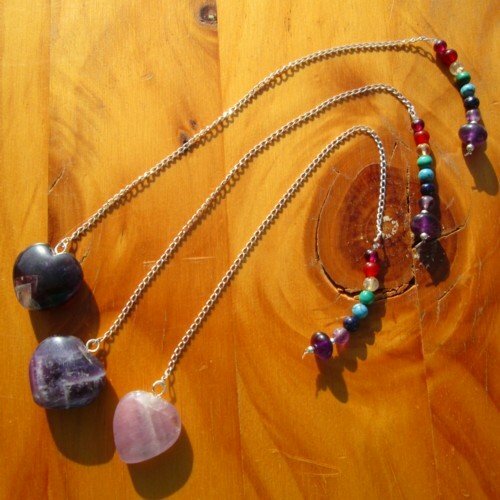 Chakra pendants.